SO EXCITED to work with you! How did you hear about me? If we've modified a package for your needs or you are having an intimate ceremony/elopement, please note the "custom" option below! Based on your wedding package selection above, please select your desired time frame coverage for photography below. Adjustments can be made later as event approaches. I will pay my deposit/balance using another method. Though a deposit is not required to fill out this form, retainer fee is required to secure your wedding date. Your remaining balance will be due the day of your event. Payment must be rendered in full at time of service and before any edited photos are exchanged. All photographs will be shot in digital format, with the exception of additional film products per package selection or individual client agreement. Film-based product offered within packages such as instant Polaroids are considered a novelty "extra" and not guaranteed as results can greatly vary and imperfections are expected/common. Photos from the event session that are delivered by Chantal Roeske are specifically chosen and edited by the photographer. Raw or unedited will not be offered, and particular images will not be selected by the client before editing. Clients may select favored images from finished galleries for album ordering. The final product will be a reflection of the photographer’s artistic choice and will meet or exceed the minimum image delivery as agreed upon in the initial package quote. Chantal Roeske will release printing rights to the client upon the release of the photo gallery. Digital photos will be delivered as JPEG files through email (unless the client(s) specifically requests other delivery method) within 6 weeks of photo shoot through access to a private online viewing and downloading gallery, which will remain available for a minimum of 3 weeks after file delivery. It is recommended that photos are downloaded immediately and the client retains several copies for their own purposes. Chantal Roeske will not be responsible for replacing lost photos or photos that were not downloaded within the aforementioned time frame. Chantal Roeske must be notified immediately of any changes in schedule or location, at least one week prior to the scheduled date of event. Notification of any changes can be made by phone along with written notice sent via email for documentation. If an email is sent, a confirmation of receipt must be in writing. It is the client’s responsibility to confirm all arrangements at least 7-10 days prior to the event. In the event of change of address or contact information (time, etc.) as listed, you must notify Chantal Roeske. A non-refundable retainer fee of $200 is required to hold the date of your event. No date is reserved until a retainer is received. The balance of the complete package price must be paid at the date specified herein. If final payment is not received as set forth herein, Chantal Roeske reserves the right to withhold delivery of the images until payment is received. Upon client(s) signature and payment of retainer fee, Chantal Roeske agrees to reserve the date and time specified. The retainer fee is applied towards the final contracted wedding package. There shall be no refund of retainer after 48 hours from the signing of agreement due to the reservation of the photography date. If the event is cancelled within three months of the date, the client shall pay the balance of the contract due to the high probability that Chantal Roeske will not be able to further book that date. Once a balance is paid, it is non-refundable. Any other arrangements shall be discussed between the client and Chantal Roeske. All arrangements will be put in writing. Cancellation must be in writing even if a phone call was made to inform Chantal Roeske of the cancellation. The retainer fee will be transferable up to six months after cancellation, provided that client agrees that a new desired date may not be available, in which case the reservation fee will not be returned. The client will be given the chance to reschedule but cannot be pushed ahead of other reserved clients. Due to the limited and subjective nature of the event, Chantal Roeske cannot be held responsible for requested photographs not taken or missed, lack of coverage resulting from weather conditions, or schedule complications caused by but not limited to, anyone in or at the event, or by the church or location restrictions. The photographer is not responsible for lost photo opportunities due to any kind of equipment malfunction, the lateness of the event couple, or other principles (such as interference. The photographer is not responsible for the lack of coverage due to weather conditions, scheduling complications due to lateness of individuals, rules and restrictions of venue, or the rendering of decorations of the location. The client(s) will be responsible for designating a schedule if desired. The role of this document is to identify people/objects of whom/which specific photographs are desired, as well as to make certain that these subjects are available when needed. It is recommended that the client(s) develop a list of their desired company for photographs and share this with the photographer well before the wedding. Chantal Roeske will not be held accountable for not capturing desired photographs if there is no one to assist in identifying or gathering people/items/locations for the photograph(s). The parties agree to positive cooperation and communication for the best possible result within the definition of this assignment. Chantal Roeske is not responsible for key individuals’ failure to be present or to cooperate during photography sessions or for missed images due to details not revealed to Chantal Roeske. It is understood that Chantal Roeske will act as the sole and exclusive wedding photographer and reserves the right to bring assistant(s). Because flashes from guests’ cameras and the presence of extra bodies in the way may ruin shots taken by Chantal Roeske, the client(s) acknowledge(s) that they are responsible for notifying all of their guests that guest photography shall be limited and not at the expense of the professional photographer’s work, or quality of images cannot be guaranteed. It is acknowledged that any lists submitted to Chantal Roeske will be used for organizational purposes only and in no way represents photography that will actually be produced. Chantal Roeske will do her best to fulfill all requests but can make no guarantees all images will be delivered. Clients are responsible for all location fees and permits. It is the clients’ responsibility to schedule and receive permission to use various locations for photography, including the wedding and reception locations and any other locations used during the day. Should a location require a payment, this payment will be paid by the clients. In the event that Chantal Roeske is unable to photograph the wedding due to: illness, emergency, accident, or Act of God, every effort will be made to find a suitable photography replacement, in which case all details of this contract will be transferred to that individual. If a replacement is unavailable, the payment(s) made to Chantal Roeske will be refunded in full, and return of the payment(s) shall be the entire obligation under this contract. No other damages or guarantees of any kind are recognized or warranted. While the photographer takes the utmost care with respect to exposure, processing, and delivery of photographs, in the event that the images become lost, stolen or destroyed, for reasons within or beyond the control of the photographer, liability is limited to a refund of retainer and payment received. The limit of liability shall not exceed the contract price stated herein. Chantal Roeske will not be held responsible for any ruined photographs due to guests’ (or any other) flashes; or any other ruined photographs due to any other cause in or outside of Chantal Roeske's control. All photos created by Chantal Roeske are copyright protected. It is a violation of federal copyright law to copy, scan, or allow photographs created by Chantal Roeske to be reprinted, duplicated, digitally reproduced, copied, scanned, or altered digitally or otherwise, without Chantal Roeske's express written permission. The client may print (on their own) their personal wedding photographs with the written consent of Chantal Roeske only once in possession of the digital images through the provided print release and download of photos from client's online gallery. The negatives/raw digital files remain sole property of Chantal Roeske and will never be given or sold. Chantal Roeske agrees to grant these image rights to the client with a non-exclusive, limited, perpetual license. *This applies only if giving Chantal Elise Photography photo credit. A description must be made by the client stating ‘Image by Chantal Elise Photography. When using social networks, a link to the website or social networks is appreciated. Chantal Roeske, as a photographer and artist with whom Clients entrusts photography to, retains the judgment to remove any image(s) from the finalized gallery that are deemed unsatisfactory or irrelevant. Outside of one hour's travels from photographer's home and based on an individual assessment of gas expenses, traveling route, lodging and other unique circumstances, Chantal Roeske will work with Clients to create an agreed-upon travel fee which will be included in final bill to be paid on or before event date. Wedding couple does agree to provide a meal for Chantal Roeske and those employed by photographer. Photographer(s) will eat directly and promptly after wedding party to ensure they are prepared to continue photo coverage of reception/event. Returned checks are subject to a $50.00 returned check fee. Client assumes responsibility for any and all collection costs and legal fees incurred by Chantal Roeske in the event that enforcement of this contract becomes necessary. All legal action shall take place in Muskegon County, Michigan. Chantal Roeske Chantal cannot be held responsible for damage to garments during environmental events. Client is responsible for arranging personal assistance for wedding garments. Chantal Roeske will not put any parties in a situation (unless requested by bride or groom) that will cause harm or damage to special garments. However, to achieve certain photos, the clients agree that will trust the discretion of Chantal Roeske and assistants. Chantal Roeske does not assume responsibility for wrinkled or soiled garments and how they may be visible in photographs. The client assumes full responsibility to make sure that items to be worn for photos are in satisfactory condition before photographing takes place. Images may be edited at the photographer’s discretion, and delivered images may not include all images shot. The photographer reserves the creative right to edit and release only those deemed professional in quality and within the photographer’s artistic standards. 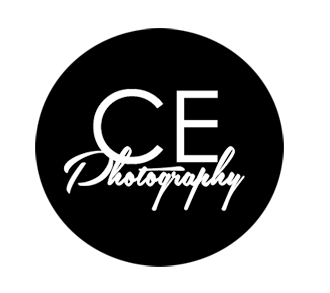 By signing this contract, the client is aware of the style of photography that Chantal Roeske produces. The parties agree to positive cooperation and communication. *Offerings [excluding prices] are subject to change without notice. The most up to date contract will immediately apply to any client that has already signed. Images from the final digital gallery delivered through email must be downloaded within 3 weeks of delivery. After that, gallery may become unavailable. It is highly recommended that clients make several backup qualities of the high-resolution files they are offered upon image delivery. Once the images are in the hands of the client, it is the client’s responsibility to download and save the images. Backing up your images is very important. Chantal Roeske may not retain backups after this period of time due to space restraints. Permission is hereby granted to Chantal Roeske to use any images created under this contract for professional samples, displays, internet website pages, advertising, exhibitions, contests, and any other purpose. The laws of Michigan shall govern this agreement.